Sometimes a theme doesn't need a subject, it just needs a palette. We asked designers to use four colors, with no particular theme, and ended up with a range of entries that are all inspiring. Be warned: this is one of the longest contest voting pages you'll ever see! You'll remember her name, no doubt, from last week's Project Selvage winner announcement: Patty Sloniger is on a roll. Patty's lovely "White Anemones" fabric emerges as the top pick from a field of more than 400 entries in our black & white-themed Fabric Of the Week contest. Of course, she's probably too busy working on her new collections for Michael Miller Fabrics to pay much attention. I just hope she's not too busy to keep entering our fabric design contests! 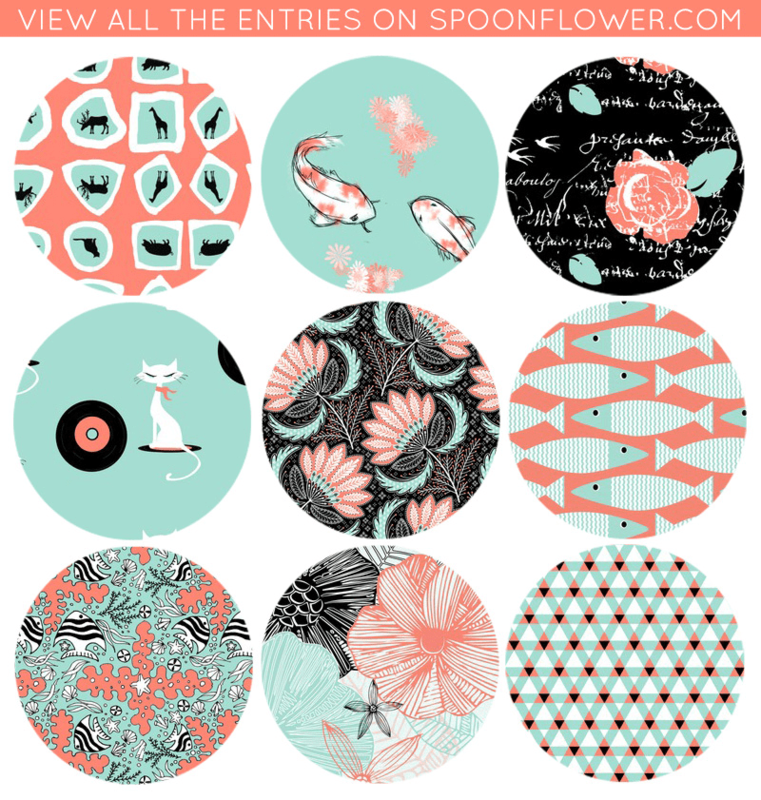 A whole lot of of black & white fabrics: vote for your favorites! Despite the fact that many people had expressed an interest in the idea of a black & white-themed Fabric Of the Week contest, we weren't quite prepared for 418 entries this week. There are many terrific fabrics, and, while the idea of a black and white quilt certainly appeals to the diminished color-processing capacity of my male brain, this does mean that those of you who vote will have quite a few pages of designs to wade through. Good luck and have fun! [Read more…] about A whole lot of of black & white fabrics: vote for your favorites!